It seems like only yesterday that we moved to Stirling. In 1972 George and Shirley Pemberton opened their first shop in Barnton Street. I joined the company in 1975 to allow them to cope with the ever increasing number of customers. We moved to Friars Street in 1979 as Stirling was crying out for Fabric and Embroidery. The success of the Education Department required the recently retired Roy Pemberton to assist us. Nowadays the team consists of: Lesley, Lorna M, Caitlan, Rosemary, Audrey, Emma & Ross and numerous freelance teachers. When I first started my parents advised me to treat customers as I would like to be treated myself. It must work as unlike many of our competitors who have come and gone we still strive to do the best we can for you. We thank you all and here's to the next forty five years. Welcome to the NEW Website for Pembertons of Stirling. 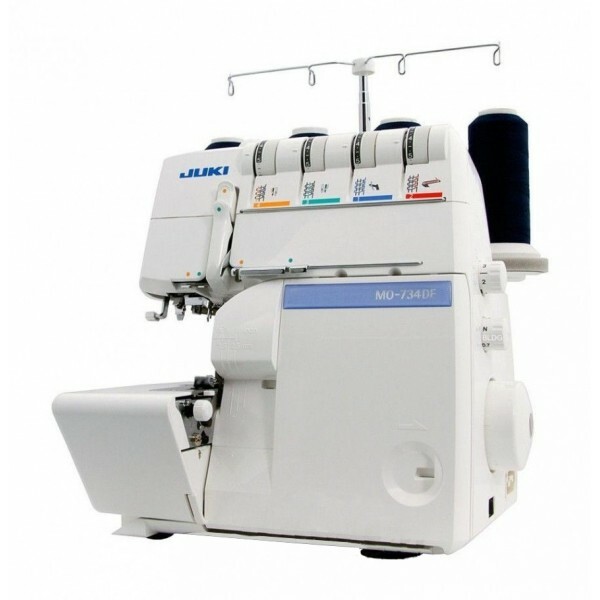 Scotland's leading multi brand Sewing Machine Centre. We offer the best range of machines at the best prices in Scotland and offer FREE next day delivery on all stock machines (subject to location). We are open from Monday to Saturday from 8.30am to 5.00pm. We are open: Monday to Saturday from: 8.30 until 5.00pm. We are in a pedestrian precinct and you can only gain access to Friars Street for deliveries before 11am and after 4pm. There is a loading bay at the top of Friars Street and at the bottom of the street in Barnton Street or on Maxwell Place. Short term parking is available in Baker Street and Barnton Street. Longer term parking is available at either the old Swimming baths, off Bakers Street in the Dalgleish Court Car Park or in Maxwell Place. The Railway Station Car Park is 5 minutes walk and the Thistle Centre car park is 10 minutes walk from the shop. The excellent Park & Ride is also convenient for the shop. The Castleview bus comes down Baker Street whilst the Forthside bus stop is next to the railway station. Stirling is centrally located and has good motorway links to Edinburgh, Glasgow and Perth. Look out for the Special Offers through the website. Buy a Gold Bobbin Club Card and save 10% for one year on certain items. Contents includes 7-1/2in sewing scissors, pin wheel, pin cushion, 150cm tape measure, metal thimble, dressmaker pencil, seam ripper, 10 assorted threads, 30 hand needles, safety pins, snap fasteners, hook and eyes, wool needle and buttons. 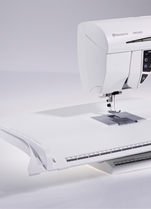 THE NEW GREAT BRITISH SEWING BEE IS BACK ON BBC2, CHECK OUT THE JANOME SEWIST 725S AND 6234XL OVERLOCKER OFFERS. CHECK OUT THE SPECIAL OFFERS THROUGHOUT THE WEBSHOP. 1. What am I planning to sew now and what may I want to do in the future if I really become enthusiastic? 2. How much am I planning to spend? After you have decided - what now? 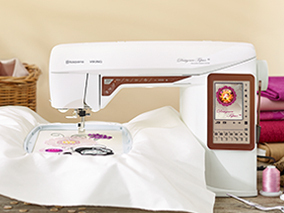 Of course you can now buy sewing machines at supermarkets and catalogue stores. But will they give you any help in your choice and where do you have to take it should something go wrong with it.? 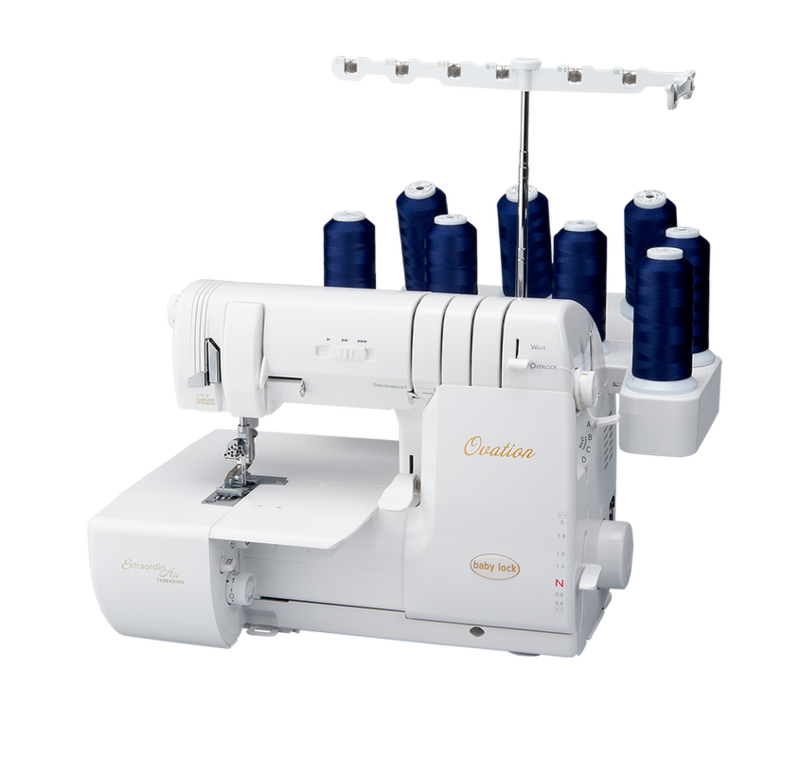 A specialist retailer will have a wide variety of sewing machines from different manufacturers on show and will gladly demonstrate each machine, showing the different features they offer and the accessories available for future projects. They will offer courses so that you can use the sewing machine to its full potential. Also help is only a telephone call away if you cannot visit the shop. They will also be able to offer to service and repair your machine where the work is carried out by qualified technicians using authorised parts under guarantee. 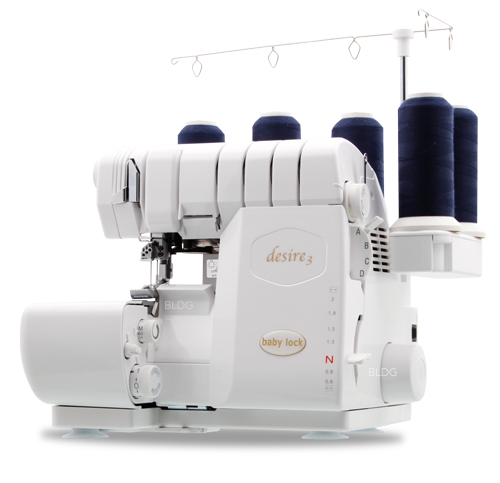 An electric sewing machines will give you all the basic stitches you will need for dressmaking, alterations curtains and soft furnishings. An electronic has greater power to sew through thicker fabric like jeans. 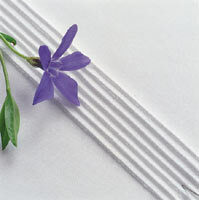 Check that it has stretch stitches for knitted and jersey fabrics like T- shirts etc. 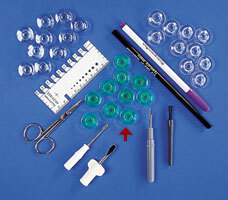 Decide if you would like a one step buttonhole feature this makes stitching a number of buttonholes so easy. Buy the best your budget can afford. Remember cheaper machines will not be able to stitch jeans hems or manage to stitch through curtain tape AND the fabric. If in doubt, ask advice from the experts. 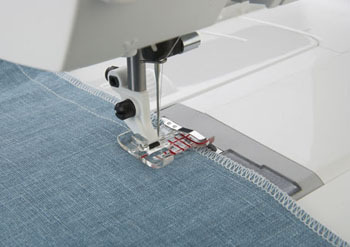 Computerised sewing machines can offer a wide variety of stitches, buttonholes and extra features. When you select a stitch, the stitch length and width are automatically set for you, so there need be no more searching for that elusive manual for guidance or for lots of test stitching. These machines can offer alphabet fonts and the ability to save combinations of stitches and letters in a memory for future use. Often a securing stitch at the start and end of stitching is automatic, no need for reversing as we used to do. As for buttonholes!! a buttonhole to suit the fabric and function , round end, keyhole, stretch, reinforced, heirloom. In fact some machines have buttonholes for every occasion! 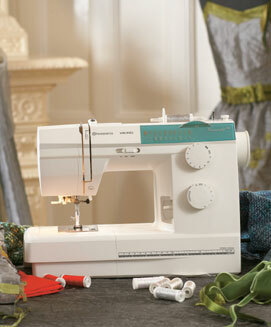 Many sewing machines have features that will help to make your sewing experience better and easier. But what are those features we should look out for? With an embroidery machines you hoop fabric into a special hoop which then slides onto to the embroidery arm on the machine. The designs can be already programmed in the machine or alternatively they can be transferred to the machine directly from a computer or by using a USB stick or Flash card. Designs can be obtained from a CD or directly downloaded from the Internet. 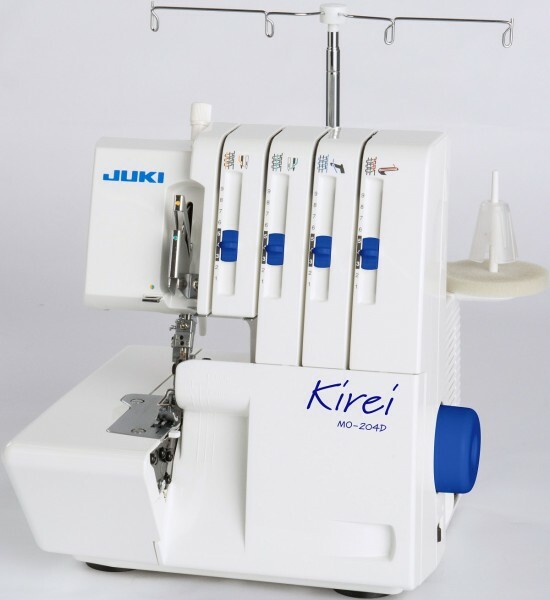 If you are wanting to create embroideries you can choose between a sewing machine that has an embroidery unit which slides on OR you can choose to have a dedicated embroidery machine. 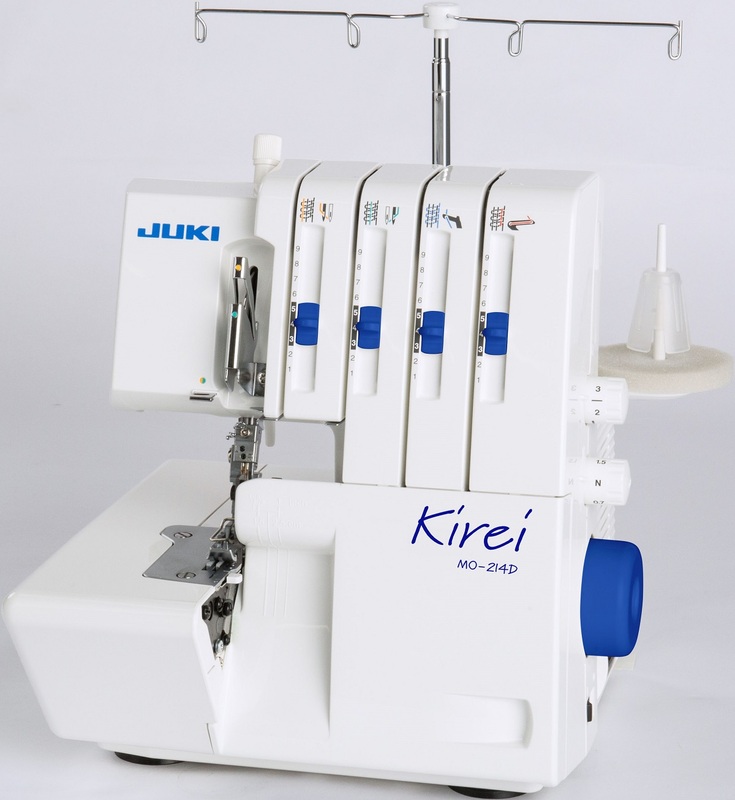 A dedicated embroidery machine will only do embroideries, they do not sew a seam or buttonholes etc. 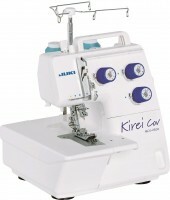 This may be ideal for you if you already have a sewing machine which satisfies all your sewing requirements. 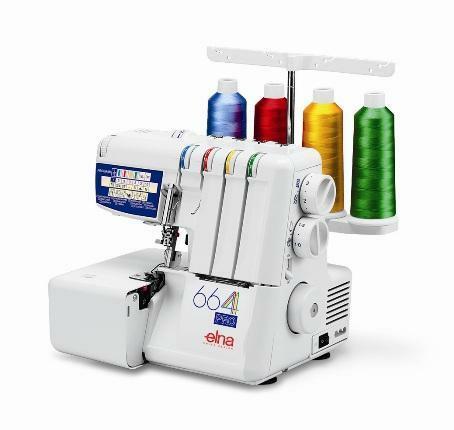 A sewing/embroidery machine will have all the basic utility stitches, many decorative and crafting stitches and have many of the features previously mentioned. 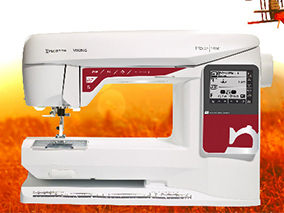 When choosing an embroidery machine consider the size of embroideries you wish to do. Some machines will only be able to embroider a design 4" x 4". 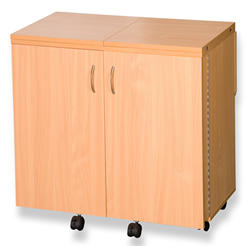 Other machines offer various sizes of hoops to cater for different sizes and shapes of designs. Consider also the method of transferring the design to the machine from your computer. Embroidering and personalising items can bring immense satisfaction and you may want to create your own designs. You can purchase software which will give you the ability to create embroideries with added lettering or monogramming even free standing lace and cutwork to make your own unique designs. Your local specialist retailer is the best place to go to get the best advice on the different machines available and which will best suit your requirements both for now and in the future.